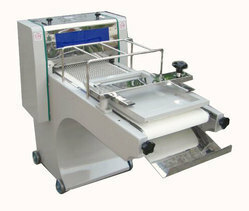 We offer Dough Moulder Machine that gives uniform shape to the dough. Designed for continuous operation at high speed, these commerical dough moulder perform perfect molding operation. 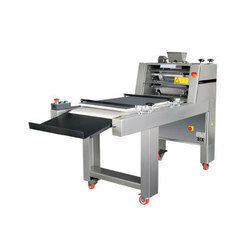 Backed by the hi-tech manufacturing facilities, the bread moulder is highly efficient in terms of fuel and energy consumption. Fabricated using high quality raw material, the dough moulding machine is resistant to corrosion and abrasion and is high in performance. We also custom design our range as required by clients. We are proficient in offering Dough Moulder Machine to our clients with dough mixers with triple pair of rollers for perfect dough molding to give uniform shape for perfect baked bread. We are supplier of Dough Moulder to our clients.